This represents destiny and crossing to a new life. The sun and moon give light, and people end up in the dark when they lack what the Ashais—people in the Land of the Crystal Bird—call sight. No one knows what lies in the future, and at any moment new situations may occur through the forces of nature, or through our actions. How well these challenges are faced depend on the light within us. The mind can conquer greed, hate, envy, prejudice, and other base instincts. The brain registers thoughts, feelings and experiences, and people or situations become conduits of good or evil. The more often there are good thoughts the stronger the path to a healthy state of mind. The converse happens with evil thoughts. History portrays truths about civilizations, as well as the biases of conquerors, so, “until the lions write their history the tale of the hunt will always be glorified by the hunter.” History is not always objective and there is more than one side to stories. The Old Testament and New Testament Bibles are sources on the might and military escapades of Ethiopian (ancient Abyssinian) and Nubian Kingdoms. These civilisations preceded the Egyptian civilisation by some 3000 years and infused her culture with their rich traditions. 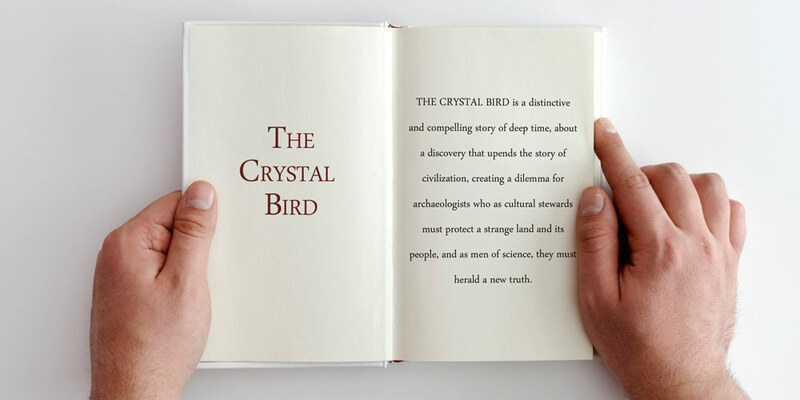 The Ashais people in the Land of the Crystal Bird trace their origins to these kingdoms. It symbolises mankind’s search for his roots and truth. It represents freedom as well as secrecy. It harbours good and evil spirits. There are many legends about this magnificent free-standing volcano. Its snow-capped mountain is often bathed in brilliant sunlight. It towers over the famous Serengeti Plains overshadowing the place where humans are said to have originated. Uhuru—its tallest peak and the highest point in Africa rises above the clouds. The Swahili name Uhuru means freedom. Everywhere in the story of The Crystal Bird, the natural environment flourishes. Mt. Kilimanjaro signifies the strength, beauty, and brute forces of nature, which could extinguish life by freezing or parching. It is no ordinary mountain. It is sacred to the Maasai who named it Ngage Ngai or the House of God. In earlier times, they believed anyone who attempted to reach the House of God would have frozen to death. The Chagga people of Tanzania, believed it to be home of a bird god. Their folklore weaves tales of evil spirits dwelling in the heights of the snow-capped mountain. The indigenous peoples of the Great Rift Valley believe it to be a place where spirits find lasting rest. Of even greater significance, folklore says the ancient Ethiopian King, Menelik 1—son of the Queen of Sheba and King Solomon brought the Ark of the Covenant from Israel to his homeland in Africa. He climbed the mountain, fell ill and died. His remains are said to be on the mountain. The lion of the sun god symbolises courage and guardianship of truth. It is the slayer of evil and protector of the land. It holds dominion over the forests and all creatures except the Kriziantu, the crystal bird. They stalk evil. Zete is an enormous, powerful bull with an unstable temperament, although capable of great loyalty…only to his master. He thinks he is a human being and if the mood takes him, he will charge anything in his path. It is a hermaphroditic bird connected to the sun god. It is a healing bird physically and spiritually and symbolises enduring love, enlightenment, and the power and grandeur of nature. Similar to the crystal bird, mankind has the power to self-heal from actions that could cause his downfall. People have the capacity to renew themselves to a higher order of existence—one free of hate, prejudices, wars, and poverty. Everything we need for survival is in abundance and renewable as long as we don’t destroy the source of life—the natural environment. Our intellect is wings that enable us to innovate so we too can fly above the clouds throughout space and time. It symbolises conquests over enemies. The Ashais’s spear can morph to any weapon of defence. Chinua, Keeper of the Forests, symbolises harmony of all life forms. Wealth symbolises the illusion of power.